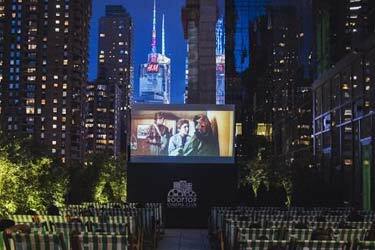 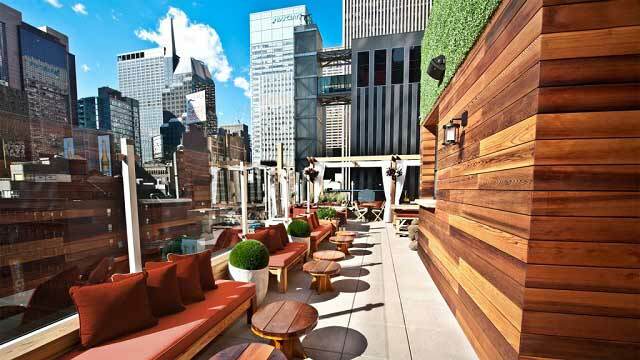 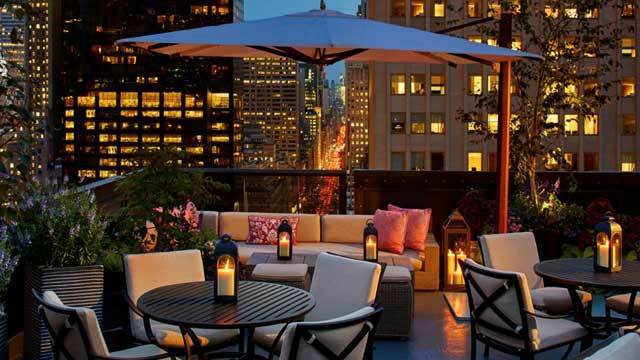 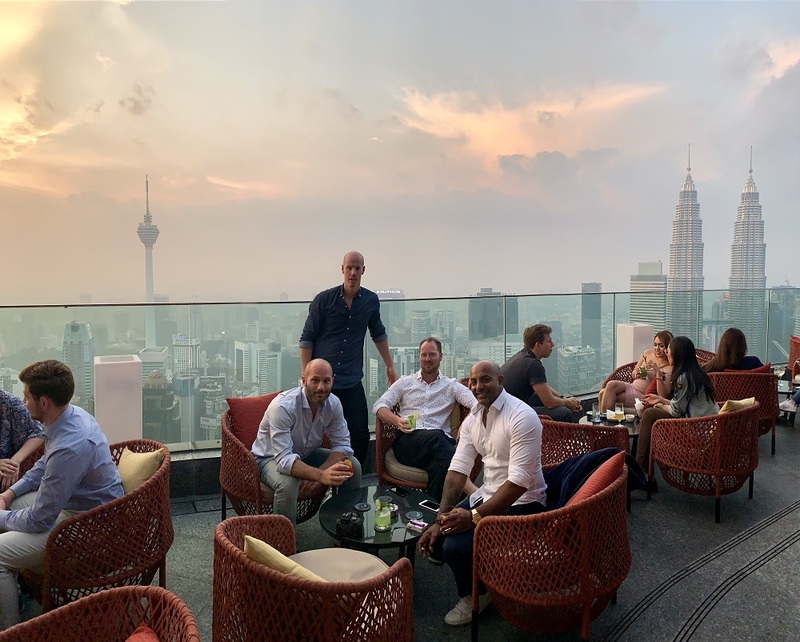 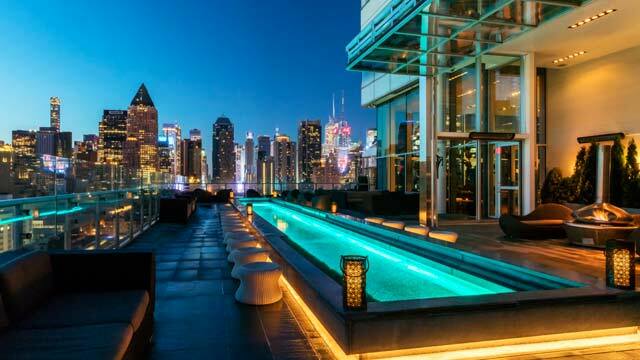 The Haven Rooftop NYC is a rooftop bar situated on the roof of the five star luxury boutique hotel Sancturay Hotel, right in the city center. 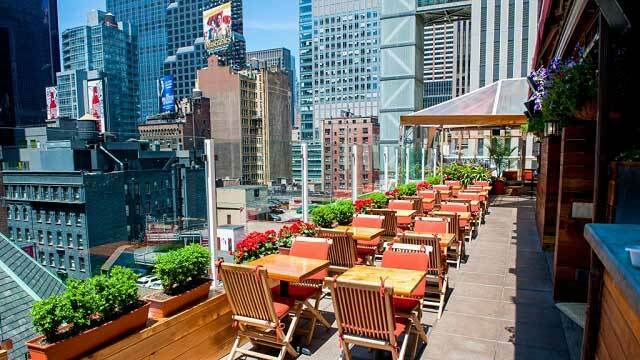 The location is almost as good as it gets, one minute away from Times Square and about the same distance to Rockefeller Center. 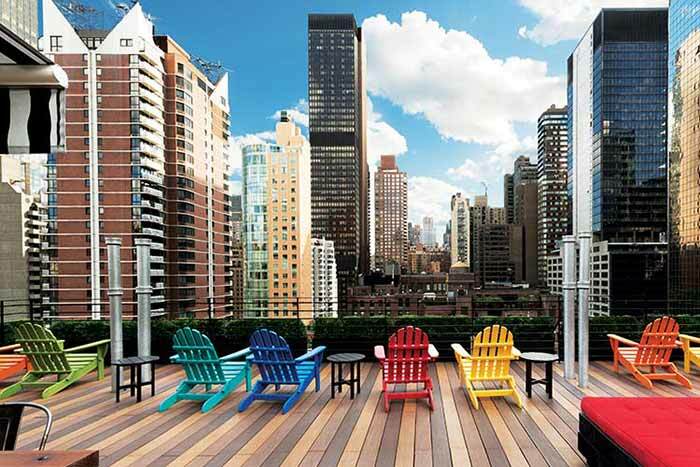 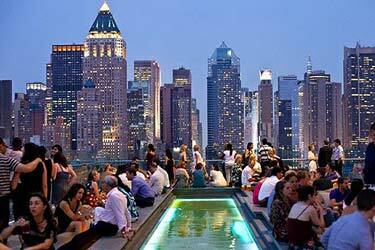 Up here the guests are in focus and the rooftop terrace offers a great view in the middle of Manhattan. 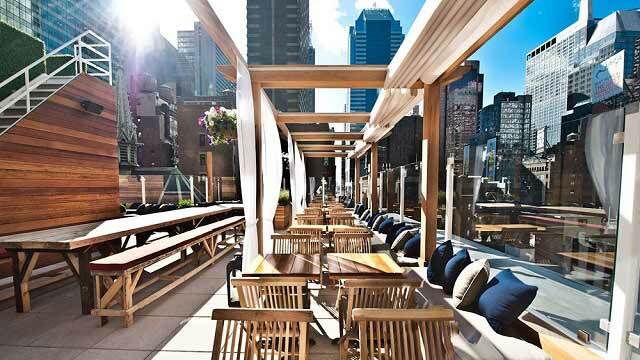 From Haven Rooftop Bar NYC and their restaurant, you can order modern American cuisine, both for lunch and dinner, along with hand crafted cocktails, wines and a good set of beers. 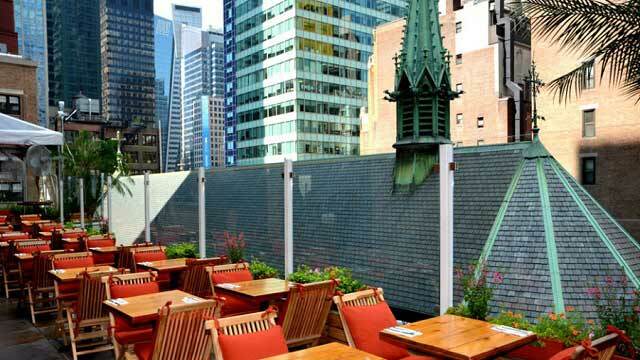 Happy hour between 4-6pm every weekday and every weekend you can also enjoy a great rooftop brunch, with a large food menu and bottomless mimosas. 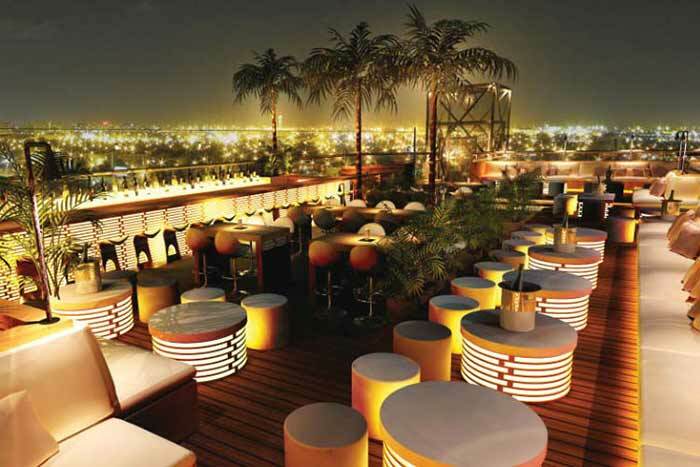 The terrace is light, airy, nicely decorated and set over three levels, where the top one is a small VIP lounge. 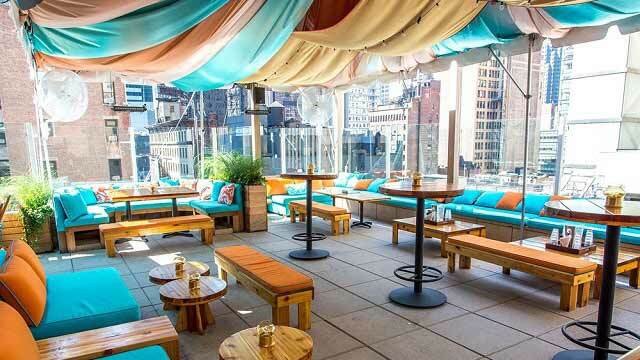 Usually a great and vibrant atmosphere, and this is really a versatile NYC rooftop bar among the best ones here. 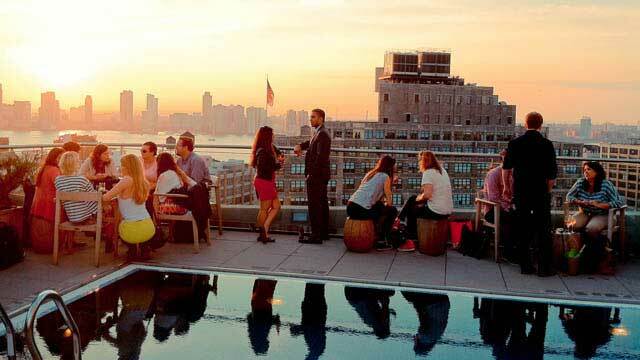 At the Haven Rooftop New York you can come both for a casual drink, a full dinner or a party night out. 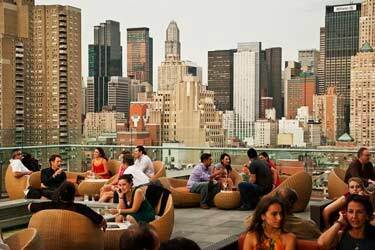 The Haven Rooftop dress code is business casual, so dress for success (especially at night) to blend in with the trendy crowd. 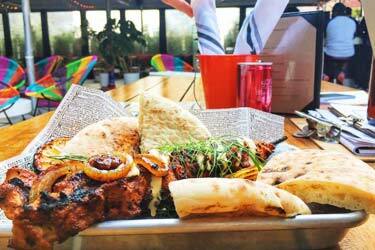 Read more about our World Cup 2018 Sunday brunch at Haven Rooftop.